I will admit half the time I can't remember where I put my keys, what day of the week it is or what's going on for the next day. I guess it comes with the territory of Motherhood. Everyday I'm pulled in so many different directions and asked "where's this where's that? ", "What time is the party? ", "What time is the game?" and "Have you seen ... ?". 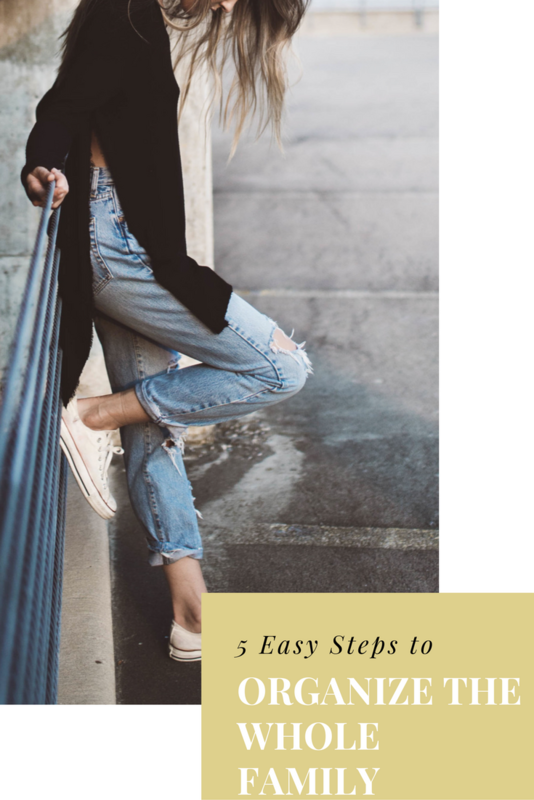 I'm putting a stop to it all and organizing my family in 5 easy steps. Can you relate to how this momma is feeling? Don't you want to get organized and simplify your life? Find a few feet of wall space to get your family all set up. Make sure it's in a central location so everyone in the family can have access. Have one file folder per family member to put any paper work that needs to be signed, homework, bills etc. This is one of my biggest faults. Normally our kitchen counter is stacked with papers until I decide it's time to go through it or someone asks me for a permission slip or paperwork they needed turned in. Sound familiar? 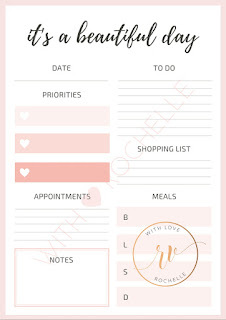 Choose a dry erase board so that way you can easily make changes to the family calendar where you'll have games, practices and when the hubby will be out of town all on one calendar. Do you ever have that conversation with your husband "Didn't you get my invite to google calendar?". "Why didn't I know there was practice this weekend?". Ha, you know exactly what I'm talking about ! This is perfect to pin up those invitations, special photos and business cards to get the plumbing work done. Plus, this adds a little character to your family's wall space. Yes, I said charging station. With today's world having so many gadgets I think this is the one thing I'm asked over and over again for. "Mom, where's the iPad charger?" , "Wife, where's the iPhone charger?". I don't have a specific drawer for all the chargers but even if I did they would still ask which drawer! Am I right? De-stress your life and save time searching for chargers and add it to the central location where everyone will know where to look for them. Add a small mounted shelf to your wall space so that you have an area to put the charging station, have pens, markers, sticky notes and anything else you would need. Who's ready to be stress free? Start the New Year off right and organize your whole family by doing these 5 easy steps. If you have any other tips you're currently doing drop them in the comments below I'd love to hear them! Sweet glad you love it Sharon ! Happy New Year ! These are great tips! I love the charging station and mounted shelf! Hi Belle, the charging station saved my life. It's only my me and my husband now but once we have a family I am going to utilize these tips. I think I like the file folders the best. These are some great recommendations not only for the whole family but also personally! Yes Lee. It could work for your home office or work area as well. Organization is key! LOVE THIS! My husband and I have been in MAJOR purge mode since Christmas and the massive influx of toys! Great tips girl! I know what you mean. After Christmas is my daughter's bday so that just means more toys. I need to get rid of the things she doesn't play with anymore and donate it. I love the idea of using a charging station. Especially because when my children are older I want to implement leaving their cell phones away from them at night. Helps keep them protected in my opinion! Great idea Kaitlyn. My 11 year old has been begging for a phone. These are such great tips. I've been trying to be better about organization and tidying up .. I always feel better about life when I do! Same here Alison. I think when our brain is not so scattered it helps! I love the charger station idea! I also have done the file folder idea before, and it really does help! Yes, I also love that there isn't papers everywhere! A charging would change our lives:) We are always looking for chargers and phones! I know ! Especially when you have an upstairs and we're constantly going up and down to look for them. I love the idea of a charging station!! I have the Kate Spade sticky note set and love it too! Those Kate Spade stickies are so darn cute. I looooove file folders (especially cute ones)! And I really need to find a charging station. One that looks good in the kitchen (which is where we end up with our phones)! Patricia I think I'm obsessed with cute little folders too! I really love the printed ones. Target's dollar section always has some cute ones. Great tips! The folder one would come in handy for sure. Jazzmen its always nice to stay organized and add a little color to our lives. This is amazing. And, the charging station is genius. Isn't it! Who would of ever thought one simple area would be life changing!